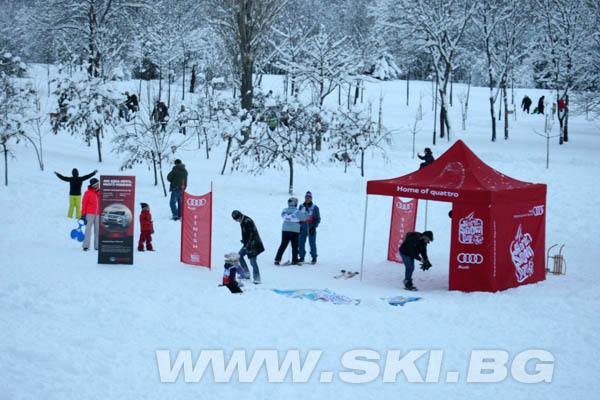 #WSD2016 #WSD2016BG #WSD2016SOFIA (SKI.BG) -- Today, January 17, 2016, brilliantly and snowy SKI.BG celebrated the WORLD SNOW DAY 2016 in a real urban environment, in the very center of Sofia! Special thanks for the support of the GREAT WALL Bulgaria, Marathon.bg Association and personally to Mr. Peter Pankov and Mr. Ivo Petkov, and SIVEN Siven Active Sport and all other volunteers who joined in the celebration. Happy World Snow Day !!! 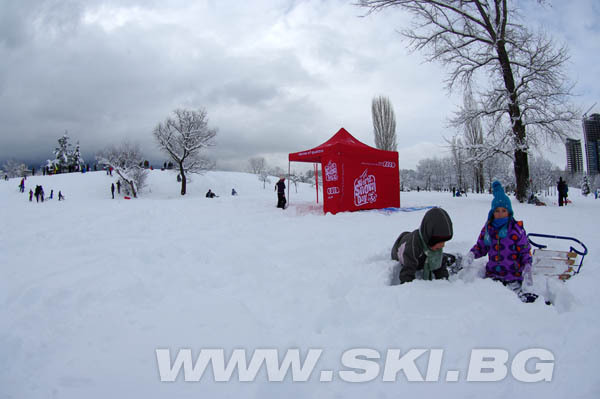 VIDEO REPORT from the WORLD SNOW DAY SOFIA 2016! 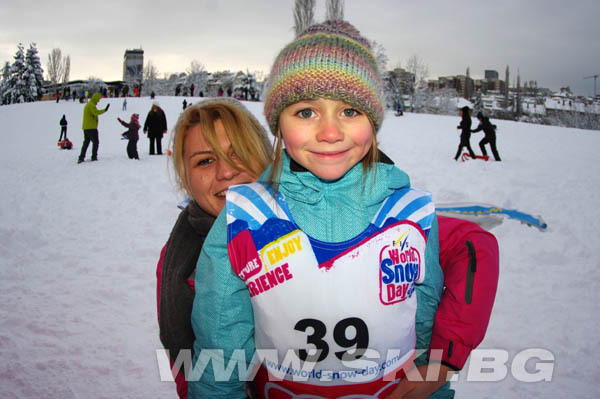 SUPER PHOTO GALLERIES from the WORLD SNOW DAY SOFIA 2016 !!! In the Sunday morning Sofia and the whole country woke up dressed in a new white gown! As by order exactly for the day on which the world officially celebrated the world day of snow! Fresh, thick, fluffy, sparkling white snow had covered the streets, sidewalks, cars, houses, trees, parks, literally everything... The weather was great and the mood was wonderful and so snowy! 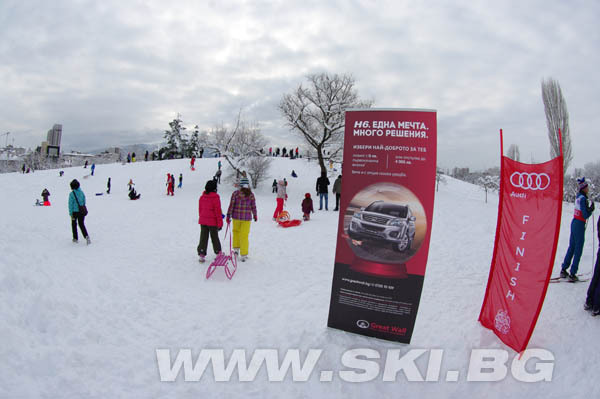 This was the atmosphere of the WORLD SNOW DAY celebration in SOFIA for the fifth consecutive year! 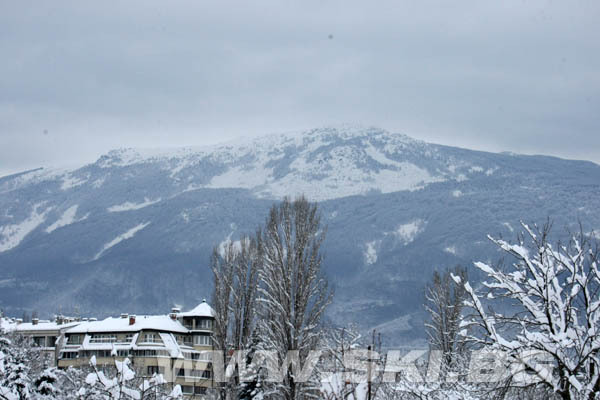 Due to heavy snowfall in the last 24 hours and the inability of the responsible authorities to deal with cleaning the roads in Vitosha Mountain Nature Park, they were temporarily closed. However, we are not afraid from the snow. 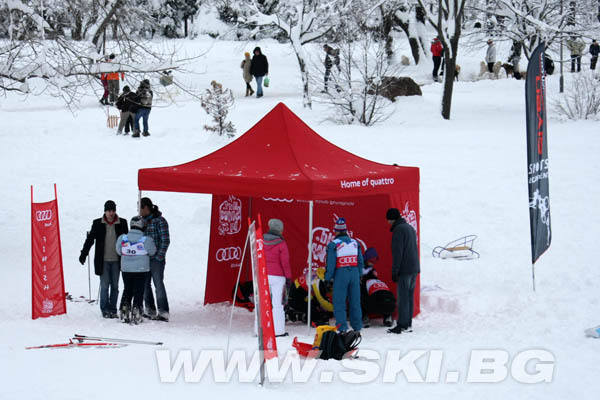 Understandably, limited road access to Vitosha Mountain in this day do not allow us to realize the World Snow Day 2016 celebration on the cross-country skiing track near "Salzitsa" hut in Vitosha Mountain according to our preliminary program. 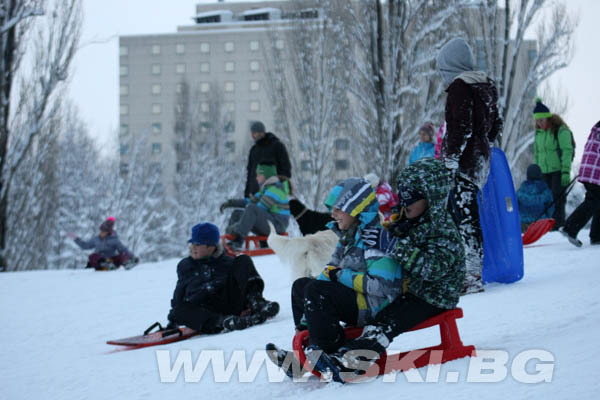 Rather, thanks to heavy snowfall, today afternoon we celebrated the World Snow Day for the fifth time, again in real urban environment, with a free program in the very center of Sofia. It was a really symbolic - just where 4 years ago, in 2012, took place a festival dedicated to the snow organized by WWW.SKI.BG and BFSki for the first time in Bulgaria - on the little hills in the city park behind CCS Mall and behind "Earth and People" museum, near to the well-known National Palace of Culture. 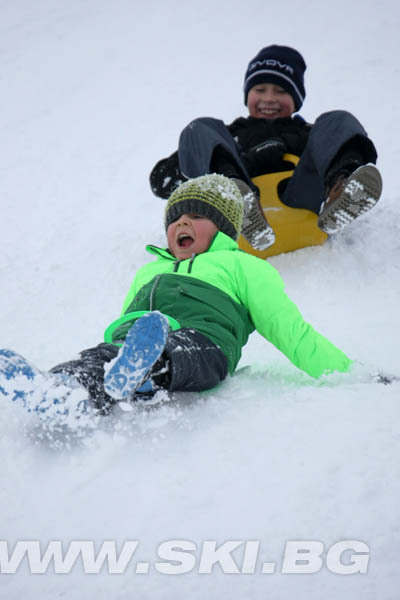 Given the incredible snowy day - this wonderful gift - we called all - parents and children, young people and their grandparents - to take their sleds, skis, boards or whatever else other winter equipment they have - and go out, in the park, in the neighborhood garden, in front of the building, or somewhere far away in nature, to come out, enjoy and entertain on extremely fresh snow! And to our great joy, people really were out in the snow! 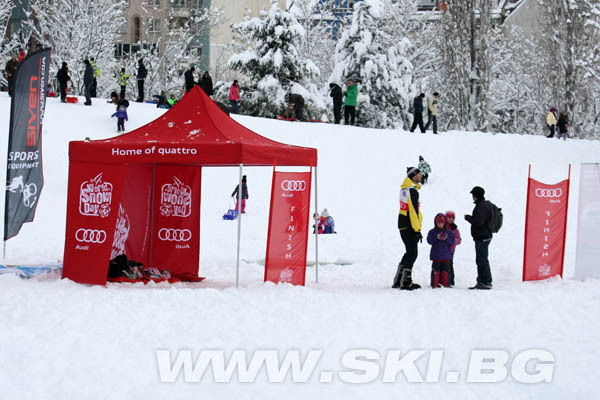 Even while stretching advertising banners and big red WORLD SNOW DAY tent in the middle of the snowy meadow in the park, hundreds of children and their parents already enjoyed the snow in the surrounding hills, with whatever they have. The park echoed with joyful emotions of children and grown-ups. Feast of the snow had begun! 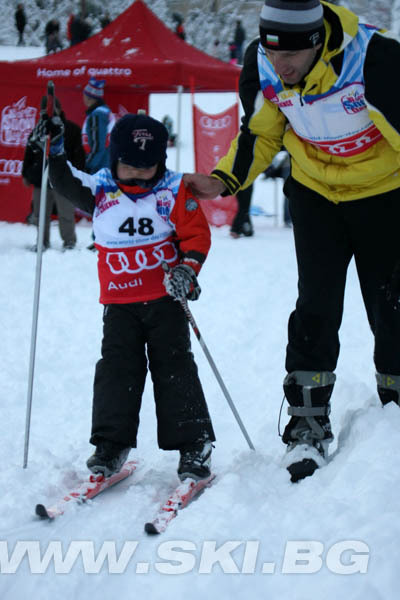 We, the SKI.BG team, along with the tireless Mr. Peter Pankov and Mr. Ivo Petkov from the Marathon Association offered to everyone free valuable tips and practical lessons for the first steps in cross-country skiing. 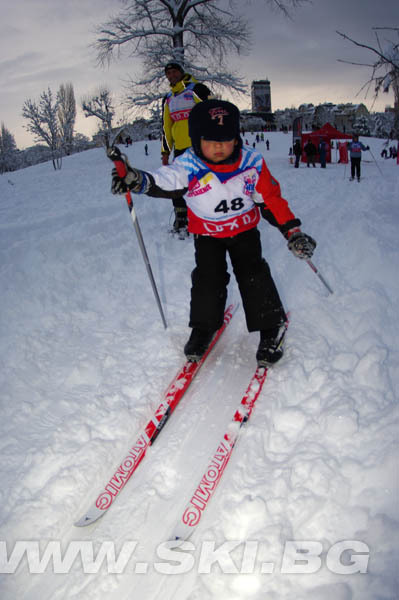 Moreover, in his characteristic style Pepi Pankov demonstrated some basic cross-country ski moves in classic and free technique. 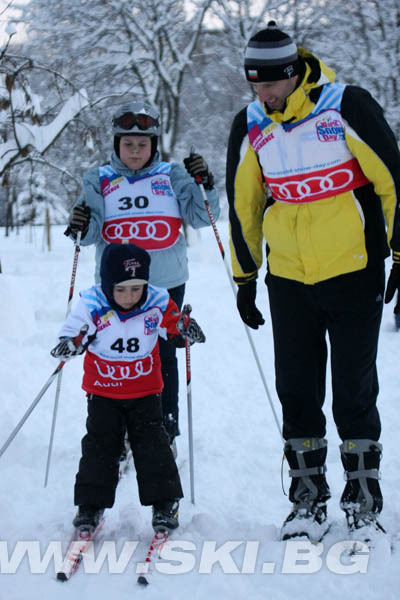 It is no coincidence that for the second consecutive year we pay attention to cross-country skiing - it is proven that this snow sport, that has long traditions in our country but unfortunately lost some ground in recent decades, is one of the most fascinating winter activities and the best basis for every skiing discipline! It is therefore unfortunate and sad that not enough is being done by many institutions responsible for supporting and developing of the sport and draw mass interest. We hope to have given a good example to change that in the future! 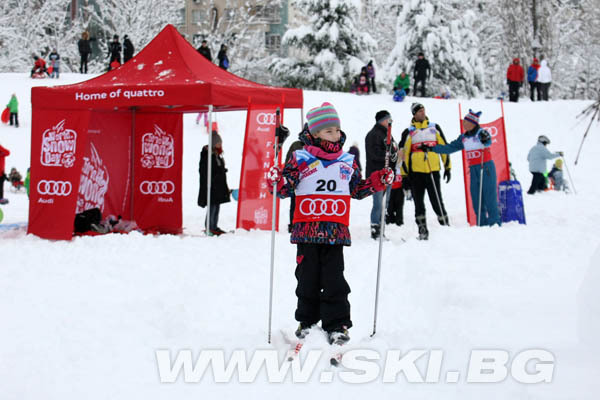 To everyone's joy the interest in cross-country skiing at the WORLD SNOW DAY SOFIA 2016 was really great! All day long dozens of children, and adults, one after another took the opportunity to try for the first time what is "to skiing with cross-coutry skis" and they were visibly satisfied and happy. We hope and believe that many of them will continue to show greater interest in this useful sport and start dealing with it. 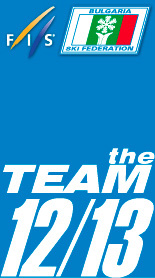 They do not need to chase a professional level, they do not need to be constantly on skis. Suffice it brings them pleasure and regularly they go out to play sports and to have fresh air in the nature. 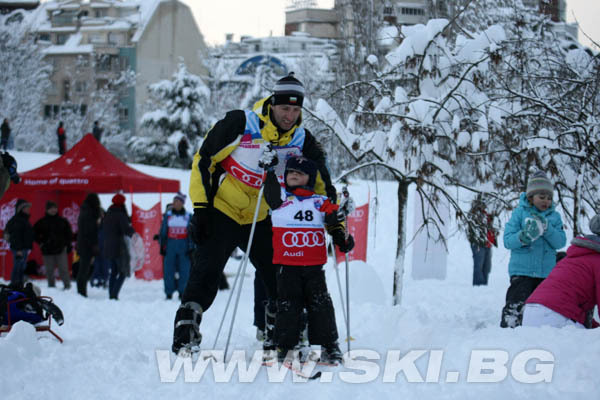 Let us heed the wise words of legendary Bulgarian skier and our first medalist from the Winter Olympic Games Mr. Ivan Lebanov: "Cross country skiing is a sport for worthy people. This sport requires willpower, skill and strength. I wish you joy, pleasure and beauty that brings this sport to accompany you always and everywhere." 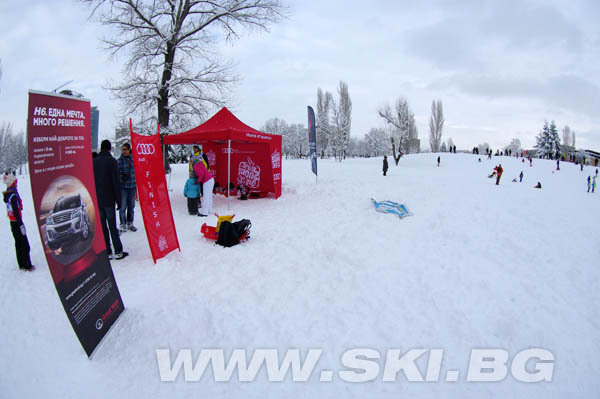 In addition to cross-country ski equipment and delicious sweets provided free for all participants in the World Snow Day Sofia 2016 we also gift them with copies of the new NO26 edition of the SKI&BOARD mag - a unique magazine for skiing and board sports, active multisport lifestyle and industry on Bulgarian language. Here we should mention one more good news! Against the background of the fact that it is difficult to find equipment for cross-country skiing in sports shops in the country. 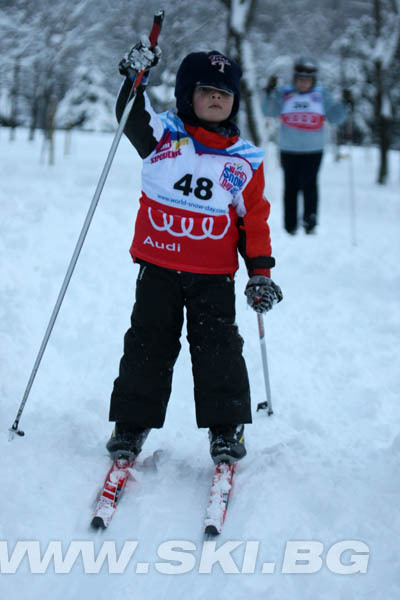 Of course, there are opportunities for online shopping or to join some of the few sports clubs dealing with cross-country skiing. 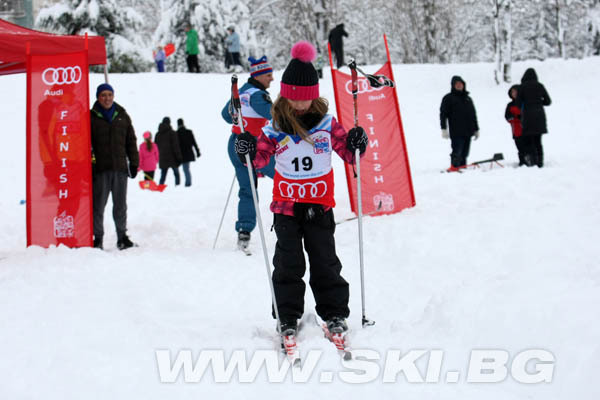 It is therefore pleased that this winter Boyana Ski Club, together with Marathon Association, plan to offer to the local residents a rental equipment for cross-country skiing. 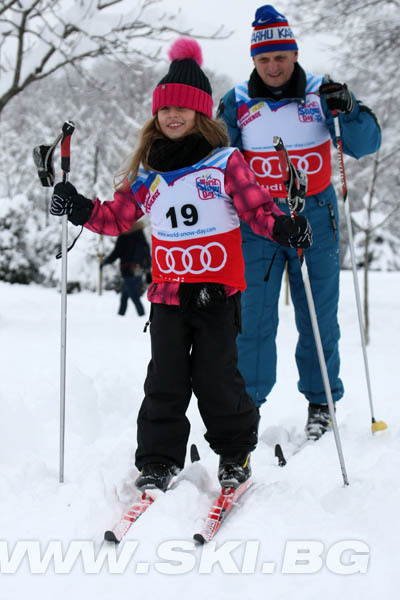 Stay tuned and follow the news on WWW.SKI.BG for details regarding the employability of rental equipment for cross-country skiing this winter! 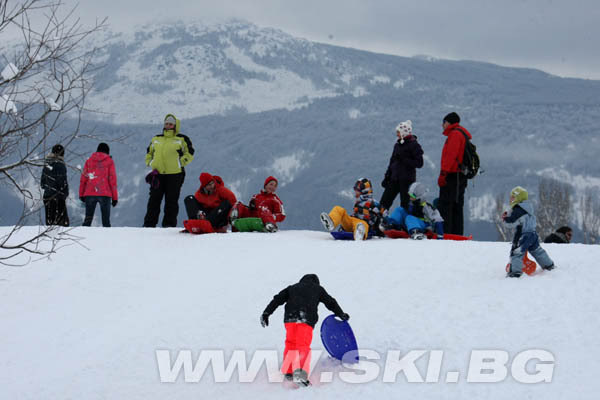 Today, the World Snow Day could been celebrated also at the only ubran alpine ski slope in Sofia - "The White Little Skier", which is suitable for initial training of the youngest skiers and which is located right next to the ice rink of the Slavia stadium. 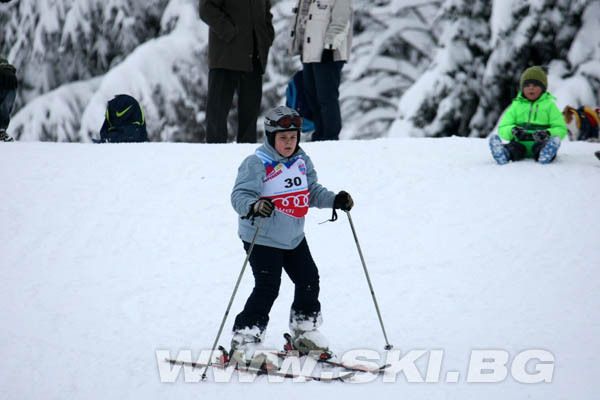 It was where SKI.BG together with Slavia Ski Club celebrated the World Snow Day in 2013. For the final we want to thanks once again for the support of the GREAT WALL Bulgaria, Marathon.bg Association and personally to Mr. Peter Pankov and Mr. Ivo Petkov, and SIVEN Siven Active Sport and all other volunteers who joined in the celebration. Happy World Snow Day !!! 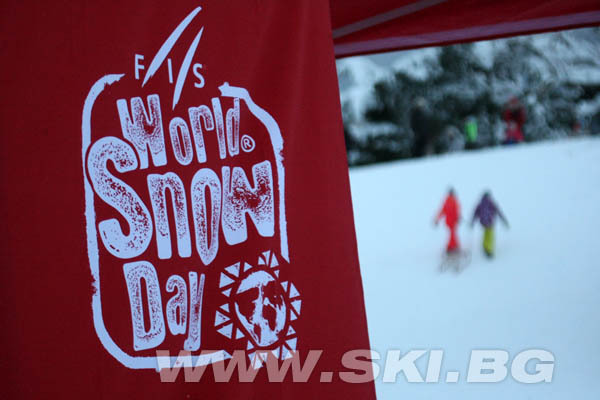 VIDEO REPORT from the WORLD SNOW DAY 2016! 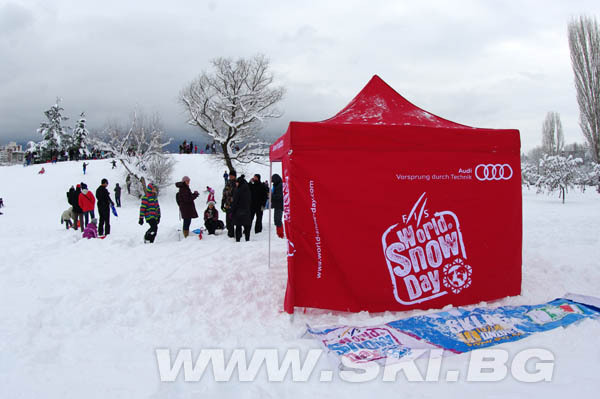 More details from WORLD SNOW DAY SOFIA 2016 soon at WWW.SKI.BG !! !